Microsoft PowerPoint is the presentation software application of the Microsoft Office suite. 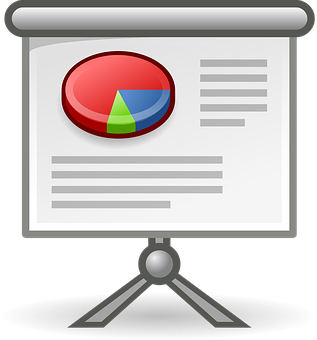 PowerPoint is often a vital component of business meetings and classroom lectures alike with its sophisticated, easy to use graphical and animation capabilities. When used to its full potential, PowerPoint can improve the quality and clarity of your presentations and help you to illustrate your message and effectively engage your audience. This course will enable you to create winning formula creative presentations using a number of different features such as inserting shapes, inserting images, adding animations and adding SmartArt which is an invaluable tool in creating organization charts that include pictures and text or combinations of both and that can be used for many different kinds of diagrams allowing for variety using text bullet points. Get your point across and enrol now for BOTI’s MS PowerPoint for beginners course. BOTI offers pc training courses, pc short courses and pc training programmes. BOTI offers business training programmes across South Africa. Evaluate a presentation produced for a specific purpose. How to use animations and media in a professional presentation. Using the Quick Access Toolbar. How to work with presentation themes. How to copy and move texts between windows or slides. Customizing files with colours, fonts and effects. Applying background styles to presentations. Formatting placeholders on the slide master. Adding graphics to the slide master and layouts. Inserting, cropping and formatting pictures. Adding headers, footers and dates to slides. Adding speaker notes to presentation slides. Adding page numbers to slides.